Leanachan - The True Home of the Kennedies? 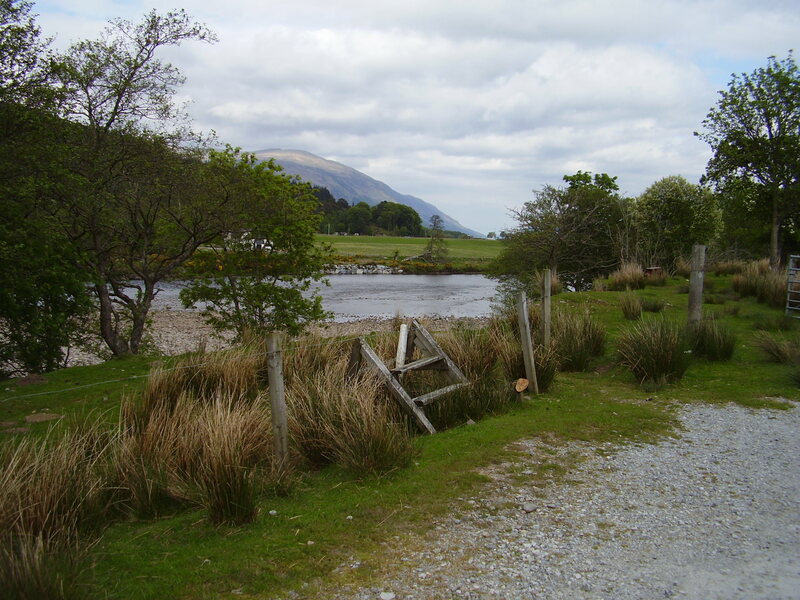 It appears in no written history of the Kennedys* that I have seen, yet Leanachan, on the northern slopes of the Ben Nevis massif, could be said to be as significant to the story of the Kennedys in Scotland as Dunure or Culzean. 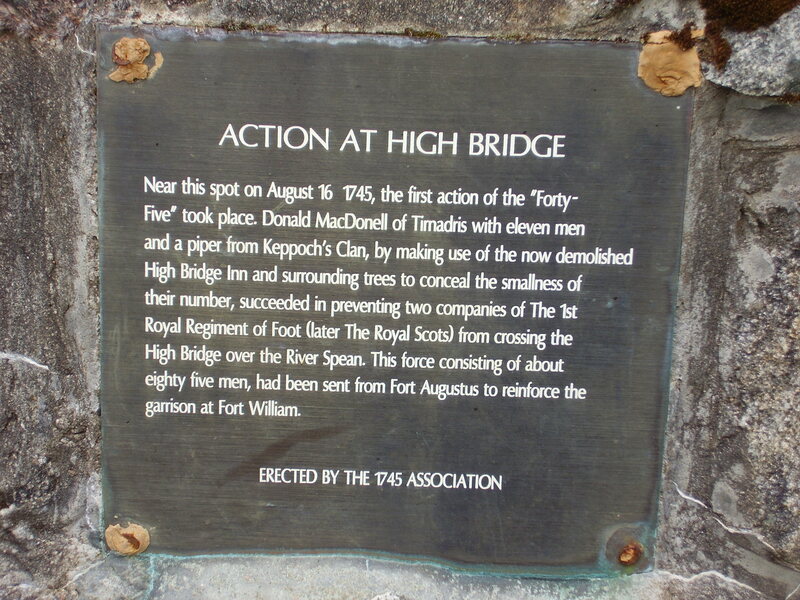 It is here, we are told, that the followers or descendants of Ulric Kennedy settled after they fled from Ayrshire; and here that they pledged their allegiance to Lochiel, thus becoming a sept of Clan Cameron. 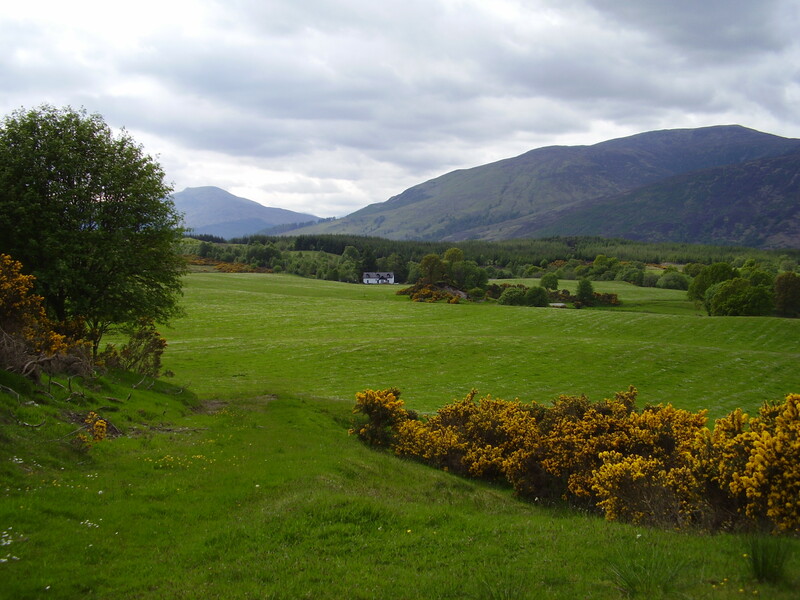 From here they spread out to the Highland Isles and also east into the highland regions of Perthshire - Fortingall, Dull and Logierait parishes. 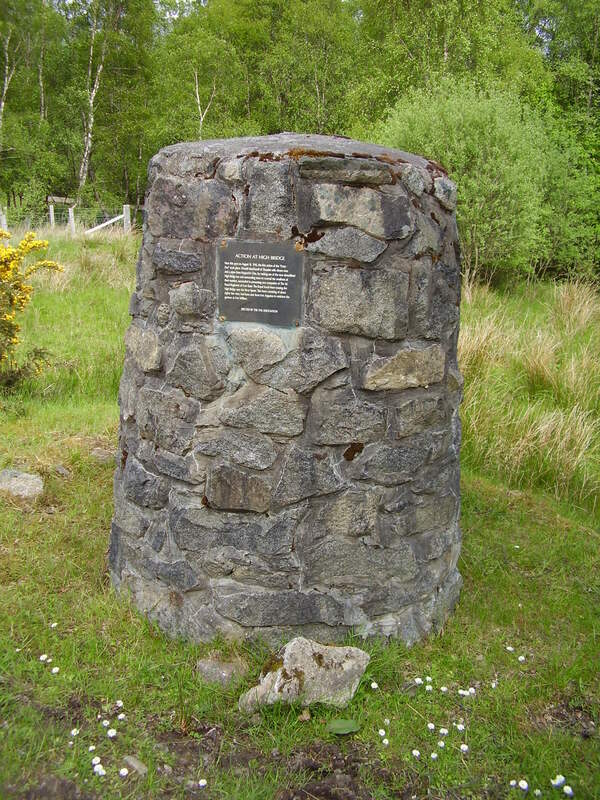 They may not have owned any castles or even appeared in sasines (I have only found one sasine entry for a Kennedy of Leanachan, a cross reference in an Argyllshire sasine record) yet in terms of numbers the descendants of Leanachan in Kilmonivaig, Kingussie and Laggan along with the aforementioned Perthshire parishes far outnumber their cousins in Maybole, Kirkoswald and Kirkmichael in Ayrshire. I recently visited this area to see what remains of these settlements. 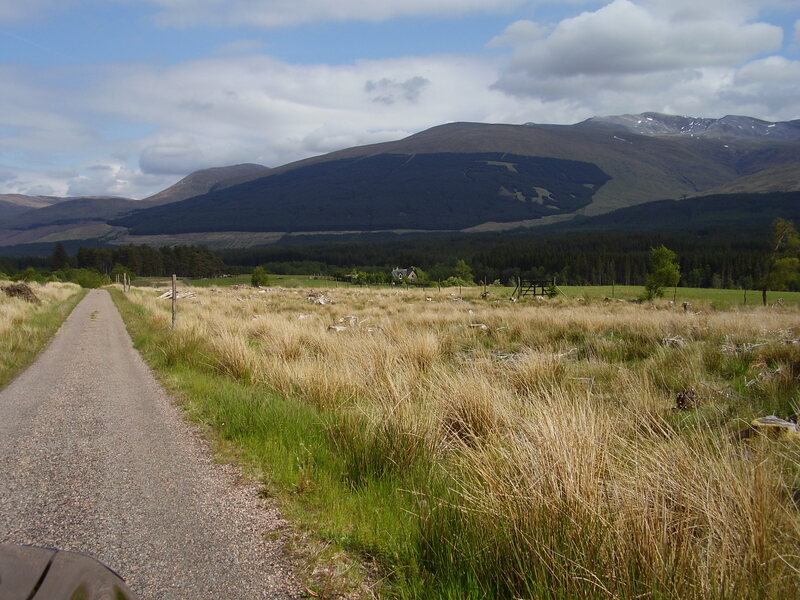 The following pictures were all taken in a four mile long rectangle either side of the A82 trunk road just south of Spean Bridge. 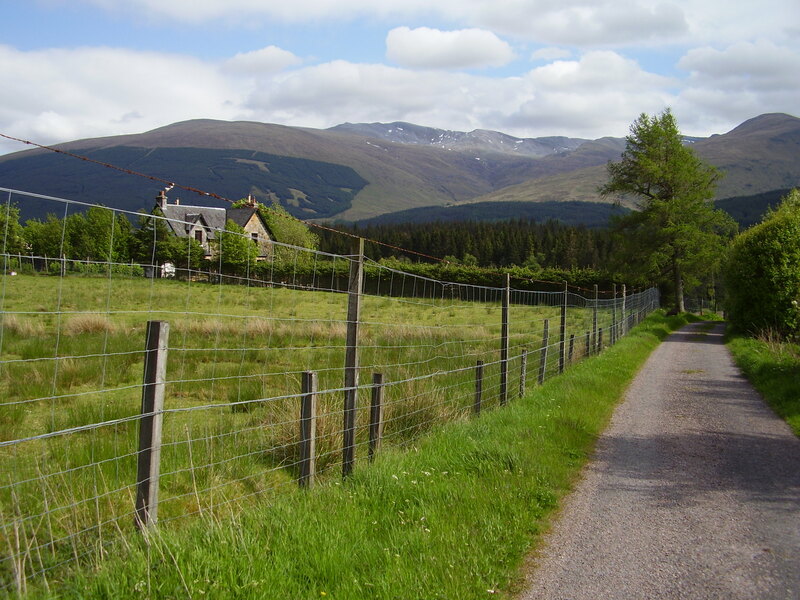 Leanachan forest is now a popular mountain biking area and there is a public car park not far from the actual remaining settlement, which appears to consist of just one house. Click on the thumbnails for the full images which are 1Mb each in size. 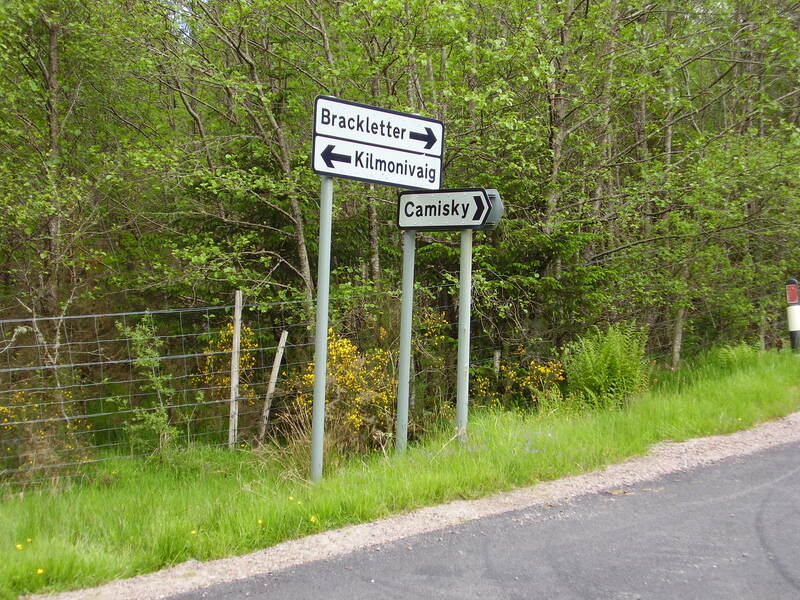 Across the A82, a junction sign points to the famous Brackletter, where the Leanachan Kennedies were cleared to; in the other direction is the parish centre of Kilmonivaig. The sole inhabited building of modern Brackletter. There is also a cow shed. * one Kennedy, two Kennedys or Kennedies? I must confess that I tend to say 'Kennedys' more often, even though normal rules of grammar suggest 'Kennedies' is more correct.